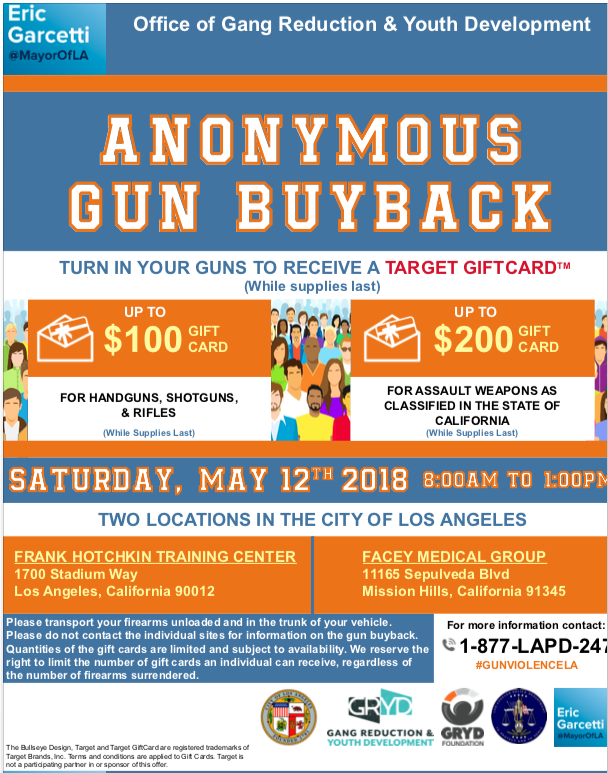 Reminder: Gun Buy Back this Saturday, May 12, 2018 from 8am to 1pm. Get your Target gift card while supplies last. $100 for hand guns, shot guns, rifles. $200 for assault weapons. 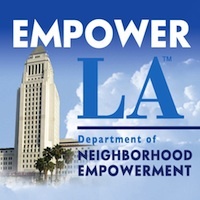 Location next to Mission station in the Facey Medical parking lot 11165 N. Sepulveda Blvd.